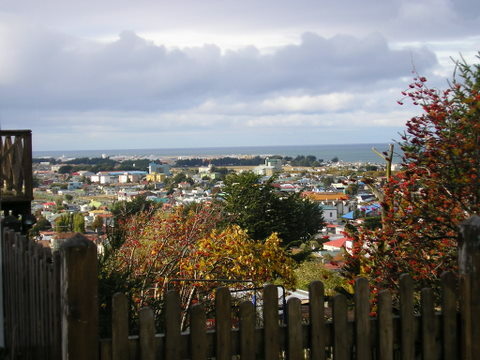 Chile claims Punta Arenas as the southernmost city on earth, and, with 135,000 people, it is a city. 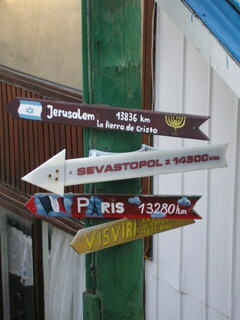 Ushuaia is farther south, but, at 39,000 people, it’s a large town. 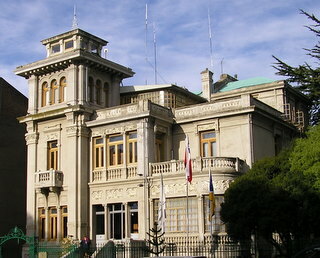 Punta Arenas has an advantageous position on the Straits of Magellan. Situated astride one of the world's historic trade routes, its prosperity has risen and fallen with that trade. It started its existence, in 1848, as a penal colony but quickly enjoyed its first economic boom during the California Gold Rush, when it served as a port of call for great clipper ships. Although the port's importance as an east-west link diminished after the opening of the Panama Canal, the city reached even greater prosperity from the 1880’s through the 1940’s as the center of Chile's international wool trade. Its French Second Empire mansions attest to the vast fortunes made during this era. Like Tierra del Fuego, the city and the province has been the creation of cattle ranchers, wool barons, Portuguese sailors, Croatian, Italian, Basque and other immigrant entrepreneurs. It is a busy commercial city, and today is the heart of Chile’s oil and gas industry with refineries outside town and tankers in the harbor. With its duty free status, the northern port region known as Zona Franca contains large tax-free shopping malls with the best savings on high end electronics and luxury goods. 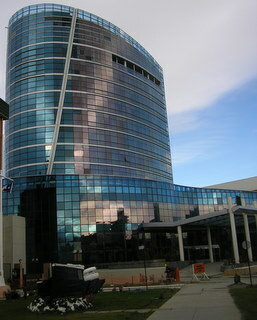 A short walk from the Plaza is the commercial dock area where a rather huge, blue glass casino hotel is being constructed, complete with a Roman columned false front at the entrance to the gaming area. Plaza Munoz Gamero is beautiful, artistically illuminated at night, but the rest of the city lacks architectural character. A large percentage of buildings, as well as housing, are in bad need of paint and other repairs. The middle class areas are close to the Plaza and Avenida Bures/Avenida Bulnes out to the Zona Franco as well as on the ridge of Cerro de la Cruz, but even there, dwellings of questionable construction were freely intermingled with the modern homes of the affluent. I expected that the long waterfront of the Straits north of the center would be prime real estate. In reality, it’s the opposite. For a depth of three blocks in from the Straits the roads are dirt and the area a genuine slum with the waterfront strewn with garbage and rusting cars. It was a great disappointment. A six block walk from the Plaza, up the hill that bisects the city, takes you to Cerro de la Cruz where you can walk along a pleasant landscaped area with panoramic views of the entire city and the Straits. 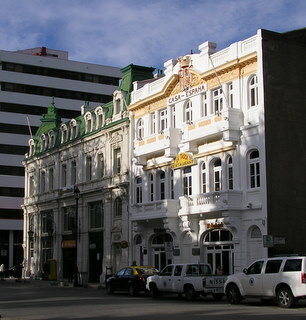 As a travel destination, Punta Arenas is worth a two day stay. 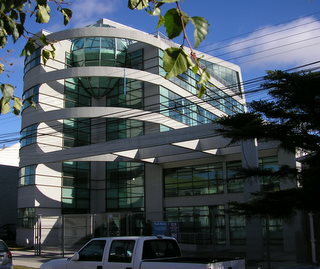 Budget Punta Arenas accommodations are not good and the few first class hotels are expensive. 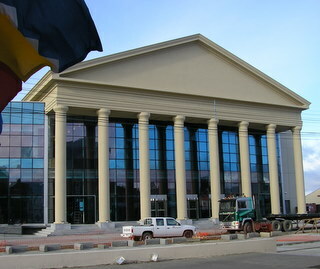 Punta Arenas attractions would not cause a traveler to linger. There are a couple house museums worth visiting. The city can be used as a base for exploring the archipelago. There are a number of tour companies but, unfortunately, unless it’s summer there is no reason to go on their trips. The Antcartic animals that make the archipelago fascinating are only in residence December through early March. These same companies advertise excursions to Parque Nacional Torres del Paine , but the distance would make it an exhausting trip of mostly driving. 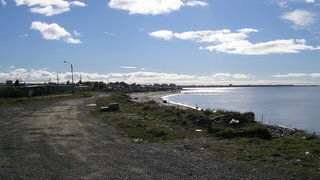 Puerto Natales is the best base for the Park. 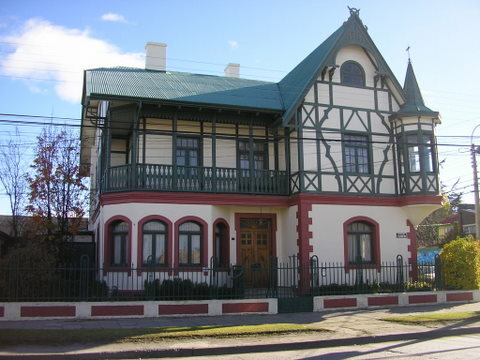 Suprisingly, Punta Arenas restaurants are worth the visit.